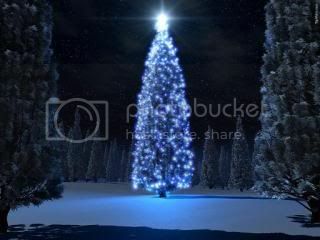 Merry Christmas and Happy New Year! / ¡Feliz Navidad y próspero Año Nuevo! Well folks, it’s that time of year again in Cancun, the time of year when thousands of mainly American, Canadian and assorted International and National College aged curiosity seekers descend on Cancun. Naturally, we’re talking Spring Break in Cancun, the supposed beach playground of North American Youth for a 4-5 week period, typically covering most of the month of March and shouldering in on both February and April respectively. 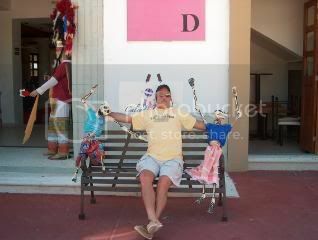 Some time back, around the year 2001, this was the bane of the typical tourist set and locals alike, a 21st century Ides of March in the adult playground of Cancun when a 100,000 or more young party types would manage all the alcohol they could spill, drink or throw until they were picked off at night by the pterodactyls or the local policia. Mostly it was raucous good times with an emphasis on Wet T-Shirt contests and 2×1 drinks at the evening bars and club scene, preempted by poolside games, crashes and low quality bathtub booze, bong hangovers. All courtesy of Mom and Dad’s credit card and the promiscuity brought on by one too many boat drinks, in other words, money for nothing and the chicks for free. 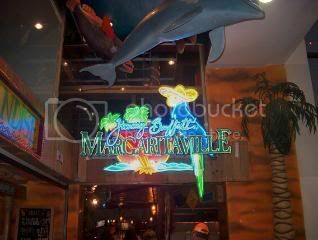 Many a spring breaker and tourist alike fell victim to the putrid concoction of “Slammers”, lethal shots of cheap tequila mixed with a host of mixers to kill the taste but to further the party. In most cases, no more harm than a hangover ensued or a late night visit to St. John before resuming the festivities. 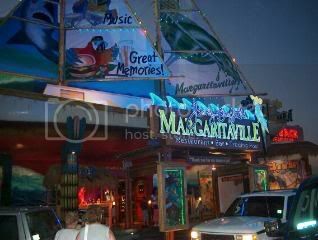 That was until Cancun started declaring war on Spring Break somewhere in the 2002 season, cracking down on public drinking and setting sail on a new upscale image that wouldn’t come into full view until post Hurricane Wilma (October/2005) in 2006. 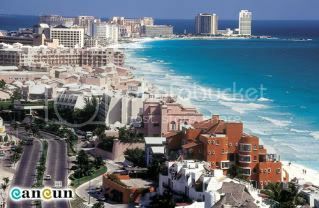 By the end of 2006, Cancun had remade herself, the hotels and restaurants devastated by Wilma were now mostly heavily renovated or completely rebuilt, the new clientele sought was to be middle to upper class tourists with a timeshare credit approval rating and an eye for something better than sharing the Mexican vacation playground with their neighbors college kids. Of course with this new found image, someone had to help pay for it, so if Cancun was going upscale as were her guests, so was their hotel bill, not that Cancun isn’t still a bargain, just not as good a one as she use to be. With it however was a renewed disdain of the Spring Break crowd. When 2007 rolled around, Old Man Use To wasn’t yet dead but the patient was in intensive care, Spring Breaker numbers were reeling back heavily as more and more hotels either through cost, age limits or downright refusal stopped catering or allowing Spring Breakers in their establishments. Estimates vary but by most accounts the 2000-2001 estimates of Breakers had dwindled from its peak of approximately 100,000 plus to a mere 35,000 by the 2008 season. Most of these Breakers being pushed into less than accommodating resorts that were more cattle pens with pools and taps than front line vacation Hotels. However, still the allure continues, and with proper attitude it’s not necessarily a bad thing, the Spring Breakers that is. Certainly from this perspective the numbers seem more manageable and despite the MTV and Real Cancun reputation, most of the young people landing in Cancun these days appear to be generally polite, reasonably behaved and obviously looking for a good time and aren’t we all. This year, 2019, the Cancun Hotel Association has been predicting anywhere from 25,000 to 35,000 Spring Breakers based on local press reports and that doesn’t look to be unreasonable, mostly bunched together at a handful of resorts that Mr. and Mrs. Average American wouldn’t take a liking to anyway. So, the long and short of it is, for the typical tourist, research your hotel choice beyond “it’s on sale” and you should have little issue with the Breakers during any time in March. The reality is that if your staying at the Ritz and in bed by 10PM, you won’t see them anyway, other than huddled in masses during the day at soylent green operations akin to Mickey D’s and the like. For the Breakers, as a veteran of almost every Cancun Spring Break since 1987, keep it cool and keep it from going over the top and you’ll have a great time in Cancun, do remember that in Mexico, your rights and law enforcement are quite different, respect the locals and the culture, enjoy the party but try and get a glimpse of Mexico while you’re there because it may be the only chance you get to see of her. There’s plenty of great things to do in and about the Cancun area for everybody; Maya Ruins, Cenotes, small tropical Isla’s like Mujeres and Cozumel, Eco Parks, Snorkeling, Scuba and of course the surf and sand scene. Why spend a thousand bucks to shack up and swallow the Mezcal worm in Mexico, not that there’s anything wrong with that, without ever seeing what Mexico really has to offer. 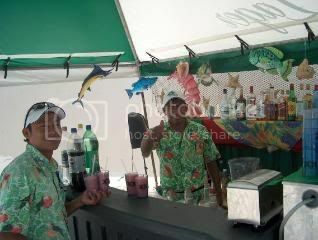 In this version of the Cancun Casa blog, we mix up a bit of Island Sounds, add a little bit of Cancun, Mexico and a whole lot of shaking from Caribbean music maestro Jimmy Buffett and serve up the Halloween boat drinks with the music video “Desperation Samba“, alias Halloween in Tijuana, though if you listen well you’ll hear Jimmy Buffett’s references to one of his more famous Margaritaville establishments, the now former one in Cancun, Mexico, moving to Playa Del Carmen soon, if the coconut telegraph is correct. In Mexico, Halloween or the more appropriate, Los Dias de los Muertos, or Day of the Dead by way of translation is a bit more subdued than in many places around the world though the Mexicans have been joining and enjoying the customary U.S. style trick or treating more and more each passing year in many places of Mexico. 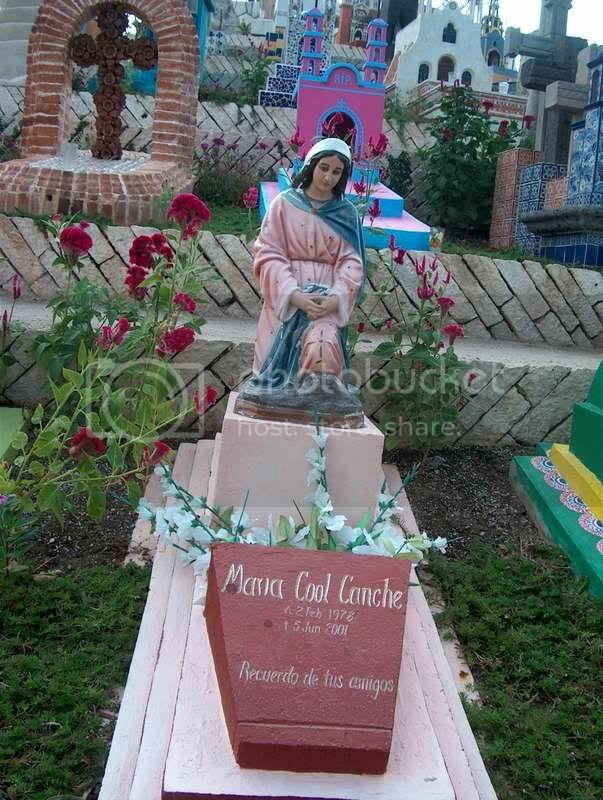 The three day event in Mexico features home style religious and family shrines, visits to the local cemetery with gifts for honoring deceased relatives along with decorations of graves, special meals, a special day of the angels for deceased children, and of course a bit of celebration, including decorations and costumes. In Cancun, school children will dress up for the day in many places and the same chills, thrills and spills will occur over the course of the celebrations as any where else in the world. 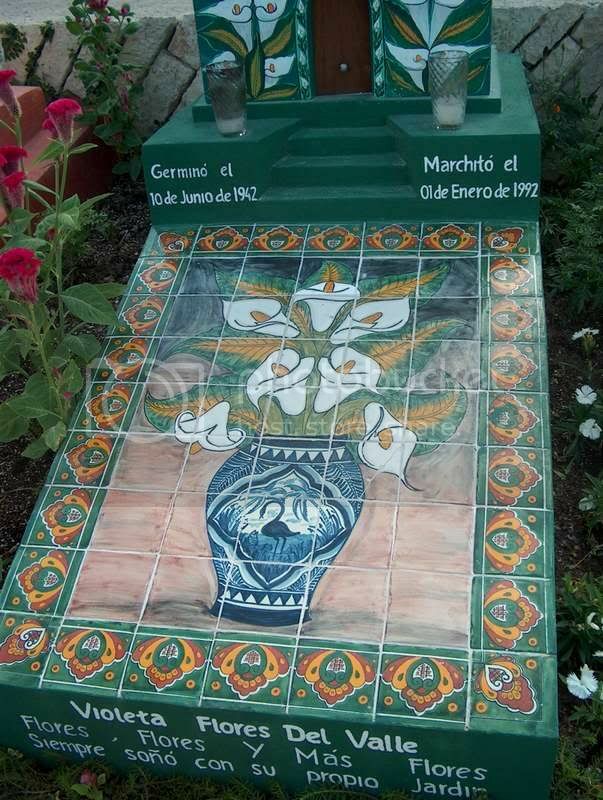 The Mayan will celebrate their own version of Halloween via “Hanal Pixan”, a celebration of life, death and the underworld common to the regional inhabitants still honoring pre-Hispanic customs of their ancestors via meals prepared for the deceased and the living alike. Disclaimer: CancunCasa claims no rights of ownership, use or otherwise to artistic representations, and they are only presented as part of the story line preceding them; and as made available. 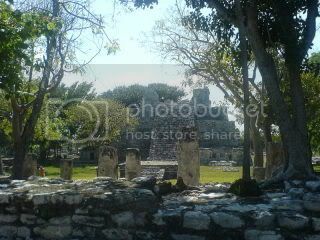 When I first wrote this review upon a return trip from Cancun, Mexico this past October I was laughing out loud remembering the wisecracking caretaker Jesus, my local amigo Javier, and me jousting around my broken Spanish and their broken English talking about how to get more visitors to this beautiful Maya ruins site located at Punta Sam. Jesus wanted to know how some Gringo, me, calling himself Dangers (I told him my real name but I’d be writing under the Danger’s byline, he was more interested in “Dangers”, in Mexico, everyone has a nickname) was going to attract people to El Meco through some obscure writing foray in the States. While we were joking about Jesus started doing his El Boxeo impression mimicking Muhammad Ali in his classic Ali shuffle while Javier feigned the Sanford shuffle made famous by Redd Foxx in the TV sitcom “Sanford and Son” with me in hysterics downing a not so cold cerveza at the laughter at my expense. Such is Mexico, and if a Gringo in El Meco can share a few laughs with the locals while getting the down low, it’s all good by me. Dedicated to my amigo’s Javier and Jesus. Hidden off the beaten path of Cancun and the mainland area of the Isla Mujeres District on the road to Puerto Juarez and Punta Sam, and further North to Isla Blanca, is the Cancun regions version of the ancient Maya port city of Tulum. 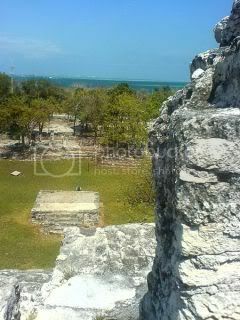 In this case it is the port city of “El Meco“, a once hidden city, no more, after completion of the archaeological diggings and restoration of the buildings located there over the last 10 or so years. The Maya City of El Meco is believed to be named after the infirmity of a local coconut plantation owner of a former era who displayed a significant limp in his gait and upon whom the locals bestowed the Maya Ruin site the name. So, there’s no Maya significance or tradition to the modern name of El Meco to the ancient Maya, much like other Maya sites, that have long lost their names and have incorporated more familiar namesakes from after the Pre-Hispanic Period. The city is however believed to have been a major commercial port for the Maya and overlooks the beach and docks from across the road at Punta Sam where nearby claims indicate that there’s the last vestiges of the ancient port hidden along the beach line. The city’s importance to the Maya is thought to have occurred from its proximity across the coast from Isla Mujeres, its location along the coastal trading routes and the area of calm but deeper water for vessels. At the center of the site is the large El Castillo Pyramid surrounded by a dozen or so smaller structures believed to be used for governmental, religious and commercial trading purposes by the Post Classical period Maya starting in the 10th or 11th century AD. The site previous to this was believed to be home to a small native village going back to the 6th century AD. Speculation based on artifact finds and architecture places El Meco at the heart of one of the Chichen Itza periods and further speculates that the city was amongst the then extended realms of the rulers of Chichen Itza. Once on site at El Meco, most folks will marvel at the plush grounds,the minimal amount of insects and the array of foliage including trees that have grown through and over a few of the ruins. Thus far, El Meco is one of the quiet hideaways of Maya Ruins sites in the region, far more likely to be visited by local school children than by tourists, and a quiet, relaxing spot where one can actually enjoy and study the ruins far from the maddening crowds. A few couples were even picnicking under the large trees on the sites green lawns while enjoying the sea breezes. The working guide and caretaker on site is “Jesus” whom is extremely knowledgeable as to the site and its history. The cost of admission as of the date of the visit was 35 Pesos and well worth the fee. El Meco while not as large or popularly prestigious as many of the other competing Maya sites still resonates the history of the ancient people whom once occupied the city and gives the visitor a sense of the beauty and position the city once occupied in its location perched over the Yucatan Coast. Visitors from Cancun can reach El Meco via bus, taxi or rental car on the road to Punta Sam past Puerto Juarez while visitors staying at the resort(s) in the newly developed Playa Mujeres region will want to travel south to the site. For something different, something new, visitors may want to combine this trip with a visit to Isla Blanca further North and the pristine beaches and calm waters of Isla Blanca which are arguably some of the best stretch of beach and surf areas in the Yucatan though some of the locals may want this writer’s head for mentioning such. Location: KM 2.7, On the Puerto Juarez - Punta Sam Road, in the mainland area of the District of Isla Mujeres, North of the City of Cancun.